This bird’s eye view of a sand castle features the building on the beach as if it is being viewed through a camera lens. The circular outline of Rice units frames in the view and the elegant mat pattern around the circle suggests the texture and glint of the sandy surroundings. The castle itself is worked from the roof tops down so that each element is completed before the next one is added. 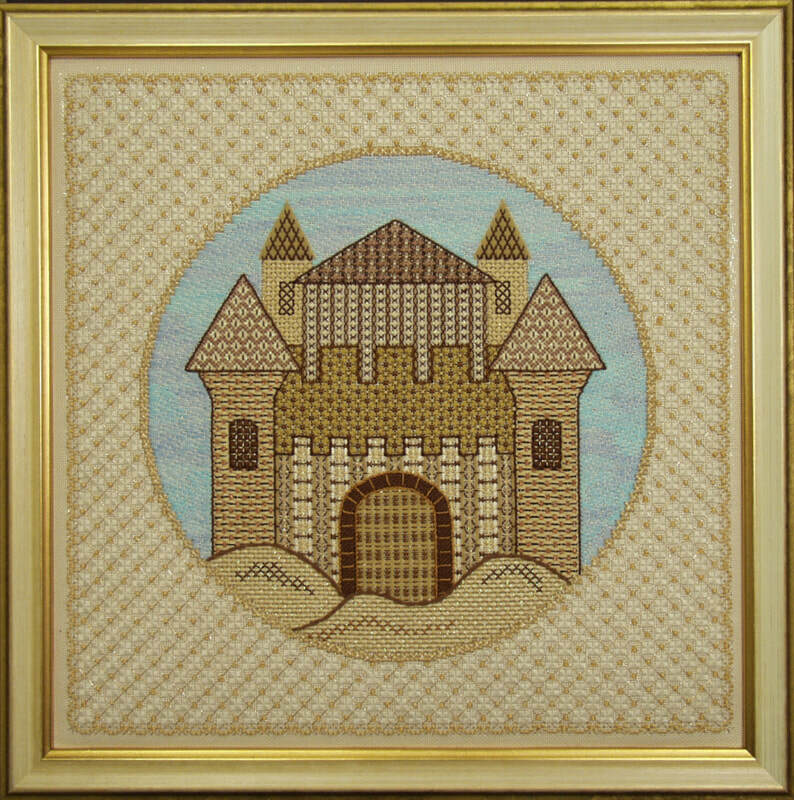 The sky around the castle is worked in a random darning treatment using a subtle Wildflowers to create a unique shaded effect. 1 skein (choice of five different options - inquire by e-mail) - #233 Glacier is used in the model.